That’s a great idea and a pretty selection you have. If you haven’t already tried it, zucchetta rampicante is an excellent choice. 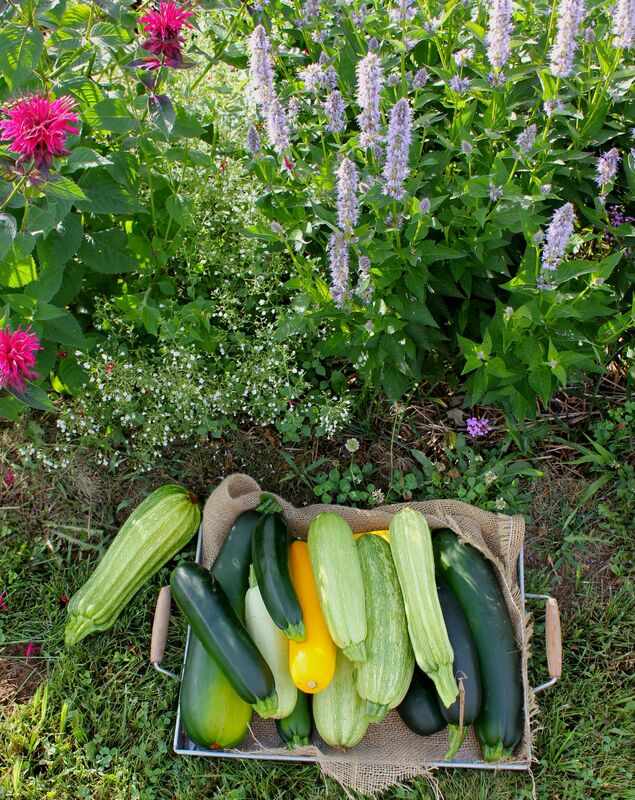 It can be eaten young and tender like summer squash or left to mature on the vine and eaten like winter squash. The bonus, besides the excellent flavor and texture, is the fact that it is not subject to SVB infestation. The down side is it lives up to its name, rampant! One vine will grow 15′ or more if it’s happy. I have grown it several years and love the weird looking thing. I’ve never tasted it as a mature squash because we eat them too fast to let them grow that big. I love costata romanesco, and really wish it yielded better. Someone needs to develop a cross of CR and a more reliable variety. Yep, I got about six beauties off one plant this year, then “pffffftttt” – but I think it was stem borer.